The goal: by the end of the weekend, my goal was to have the cross members (in blue) fabricated. 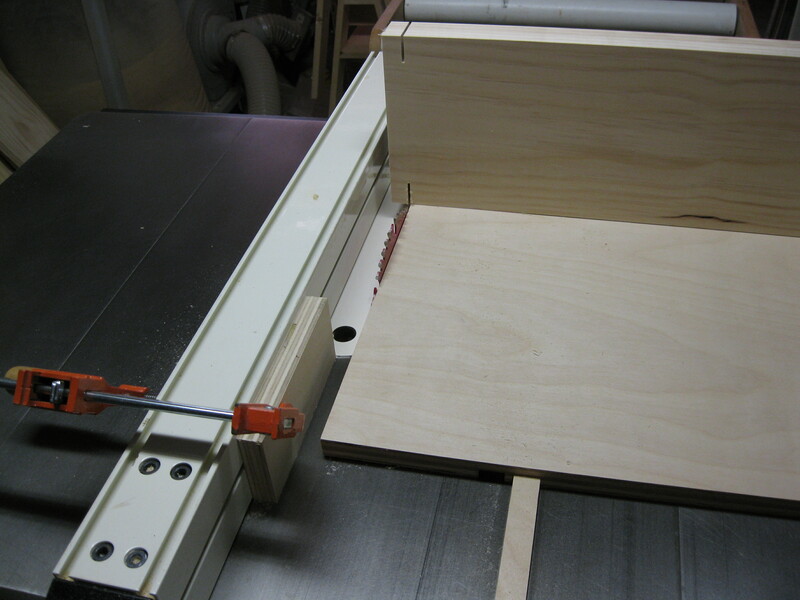 My cross-cut sled is an important table saw helper. It makes quick work of cutting this long board. I use the first board (closest to the blade) as a guide for marking the length of the remaining boards. Here, I have the three cross members cut to final size. With this bed, I have had to really concentrate on performing the right task at the right step in the process. For example, it is always better to cut similar components at the same time (not literally at the same time, but one after another in a group). 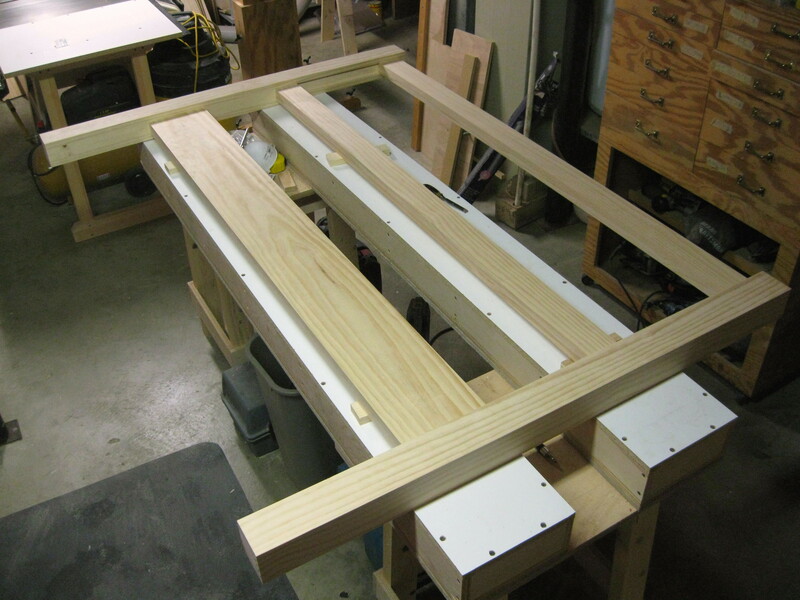 In my early days of woodworking, I would often fabricate these components separately, in some cases on different days, after changing the set up on my table saw. Cutting boards separately often slows the process and can cause one board being slightly different from the others. 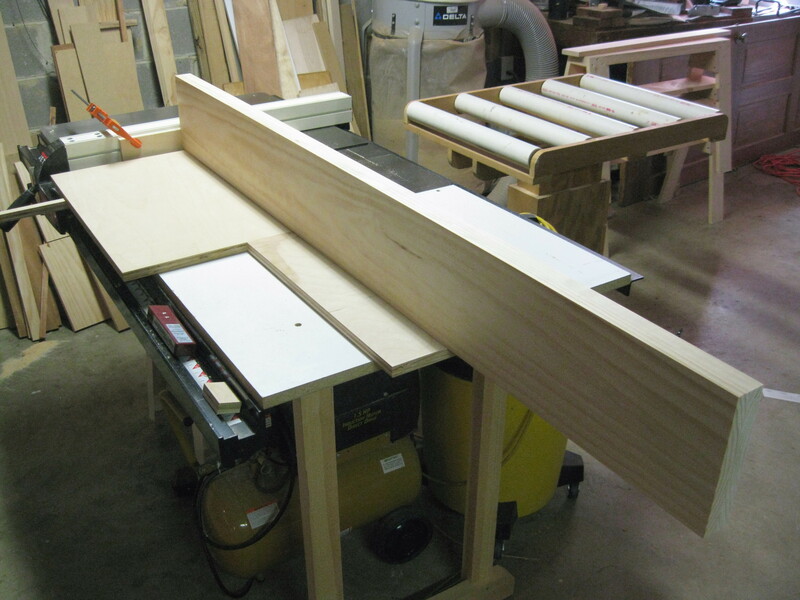 Organize your cuts – this speeds the process and yields fewer errors. Another example has to do with a mistake I almost made. I was about to cut the cross members to final size, before running them through the planer (the opposite of this is better). In the past I have sized a board only to later realize I should have run it through the jointer first. 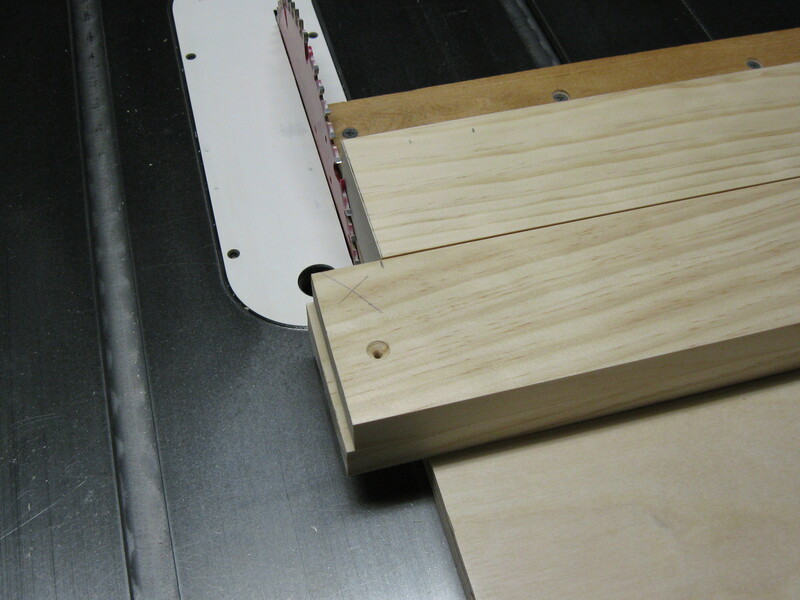 When jointing, snipe can occur at the end of the board. Leaving the board long gives you the ability to simply cut away the snipe. The same is true with a planer. Joint or plane first, cut to final size last. 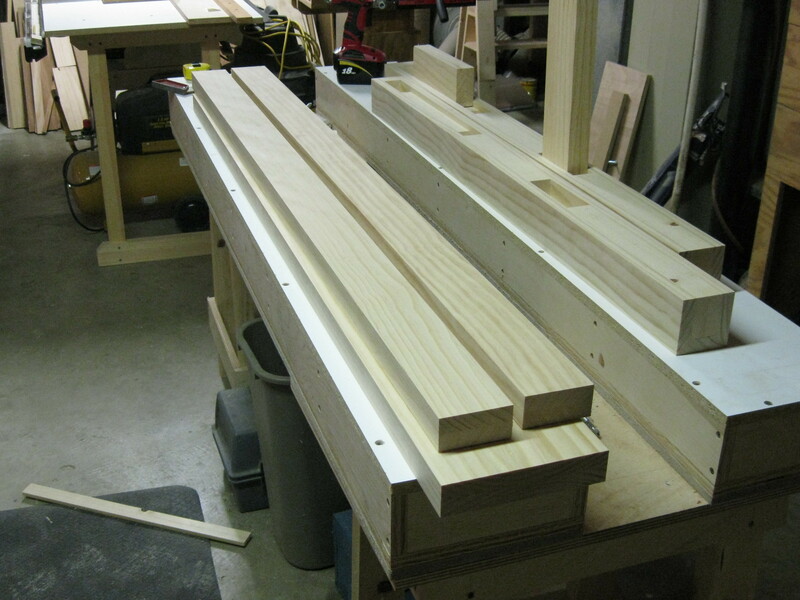 After bringing the boards down to final dimensions, I then formed the tenons on the ends. This is simply a process of first using my cross-cut sled and setting a stop block on my saw fence. 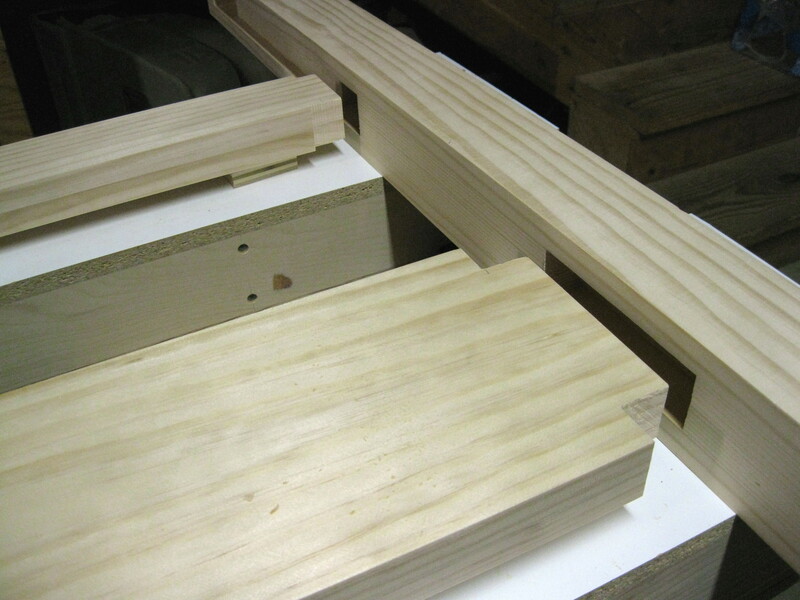 Here, I am setting up for the first tenon cuts on the large, lower cross member. These shoulder cuts must be the same distance in from the edge. This set-up makes it easy. These joints are a little tighter than those on the footboard. I had to do a little chisel work in the mortises and trimming the tenons to fit. Once that was completed, everything slides right into place. It is such a relief when this goes well. Success! As I started to pull these parts together, I thought I may have some trouble, but everything went well. 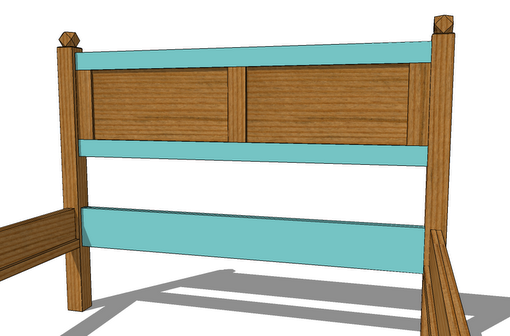 Coming up next: final fabrication of the rest of the components needed for the headboard. I’ll need to cut a slot in the middle and upper cross members to receive the panels, as well as the stub tenons of the stiles. 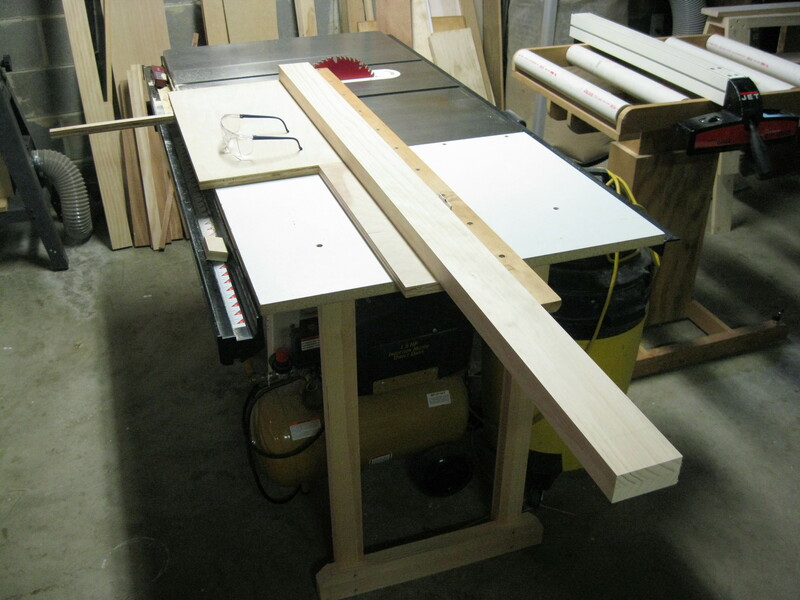 I’ll also have to cut a slot in the stiles – it should be an interesting week in the shop. This project is being built-in response to the historic tornado outbreak that occurred in Alabama on April 27, 2011. 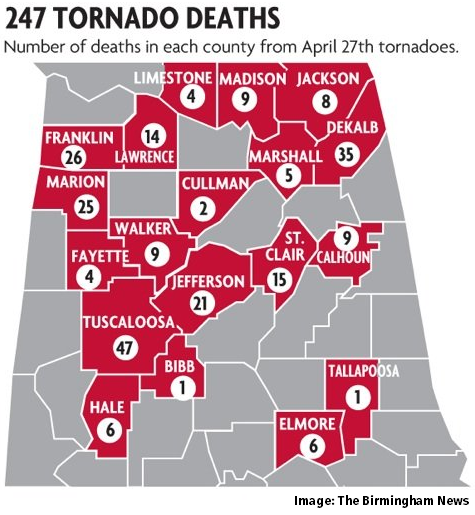 On that day, 63 tornadoes struck our state which claimed the lives of 247 people and caused between $2.45 billion and $4.2 billion in property damage (click the image at the right). The Tornado Bed will be given free of charge to a needy victim of the April 27th tornado event. Some deserving person is going to have a very lovely bed! It is really beautiful! 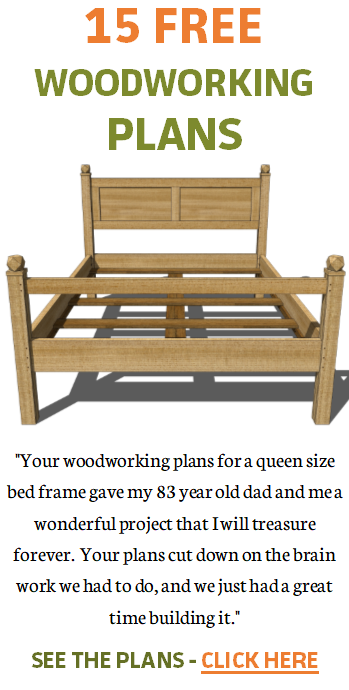 Nice progress on the bed, Jeff. That is the cutest picture of you and Bethy. Taking shape now Jeff, I like building beds, though it's been ten year since I made the last. Nice picture of you and your daughter too, I'm looking forward to when my daughter takes an interest in baking cakes, for that matter my wife too…only kidding. Thanks Jana, Jane and Mark. 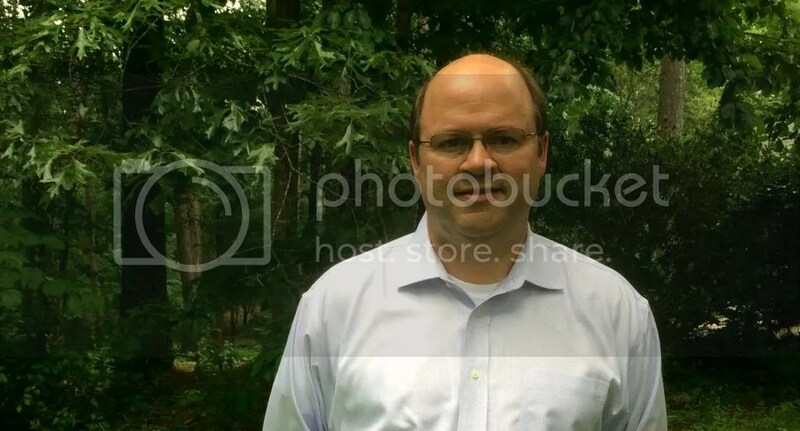 Mark, from your profile pic, it looks like it might be a while before your daughter starts baking. You have a lot of good times ahead of you!